Haworth began his career at Blackburn where he made two appearances. 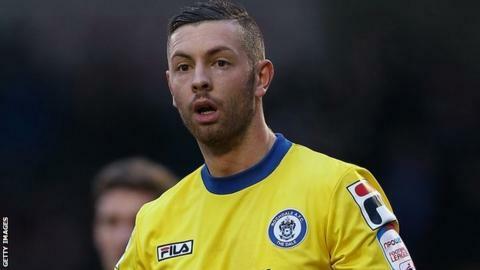 Barrow have signed winger Andy Haworth from Cheltenham Town on loan until the end of the season. The 26-year-old began his career at Blackburn and has since gone on to play for nine further clubs, five of them on loan, although he has never started more than 20 league games for any side. Haworth joined the Robins from Tamworth in June 2014 but has been limited to just eight appearances. Boss Mark Yates made Haworth available for loan in November.